First Lady Cecilia Abbott today attended and delivered remarks at the Outstanding Women in Texas Government awards ceremony hosted by the State Agency Council in Austin. 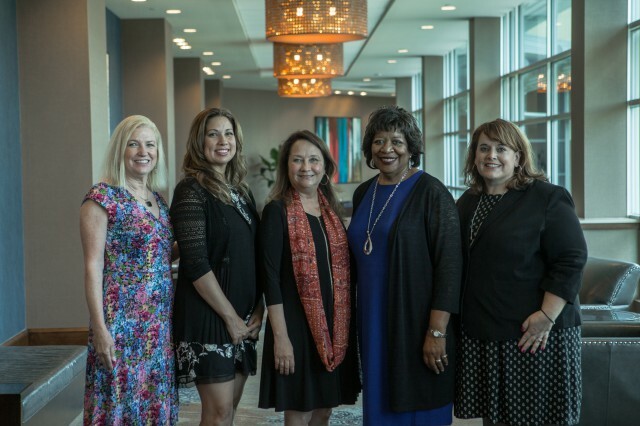 The biennial award honors women in state service who are helping to shape the future of Texas by contributing their notable talents and skills. Candidates were nominated by their respective state agency heads in four categories, and an independent committee selected the women whose contributions best exemplified each category. "In the Lone Star State, we celebrate the role that women play in our successes," said First Lady Abbott. "Women who invest in themselves and inspire change in others represent the greatest potential for growth in Texas, and together we will help all of Texas rise to higher ground." In addition to offering professional development training to its members, the State Agency Council supports the Governor’s Commission for Women, which seeks to promote opportunities for Texas women through outreach, education, research and referral services. This year, Governor Abbott charged the Commission with developing a strategy and implementation plan to help make Texas the number one state for women-owned businesses, to help address the issue of human trafficking, and to help in rebuilding efforts following Hurricane Harvey.